The Look Back Library is coming to Ruin on APRIL 22nd, to show off some historic magazines, including covers from local rippers like Grant Taylor, Justin Brock, Daniel Powell, Sean Young, and Jeremiah Babb, to legends like Cardiel and Hosoi. 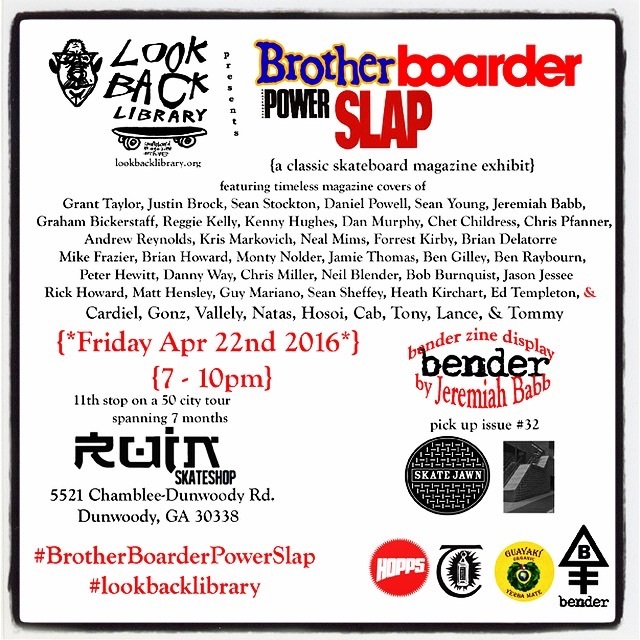 Come hang out with us from 7PM-10PM and touch some pieces of skate history. The Look Back Library is a non profit out of San Diego, with a mission to preserve printed skateboard materials, promote literacy, and build publicly accessible skateboard magazine librarys. Check out Jenkem’s look at the man behind the library and his mission in this video. Deluxe Distribution (Venture, Thunder, Krooked, Real, and Spitfire) hooked us up with DVD copies of a couple of their videos burned from their personal digital copies. 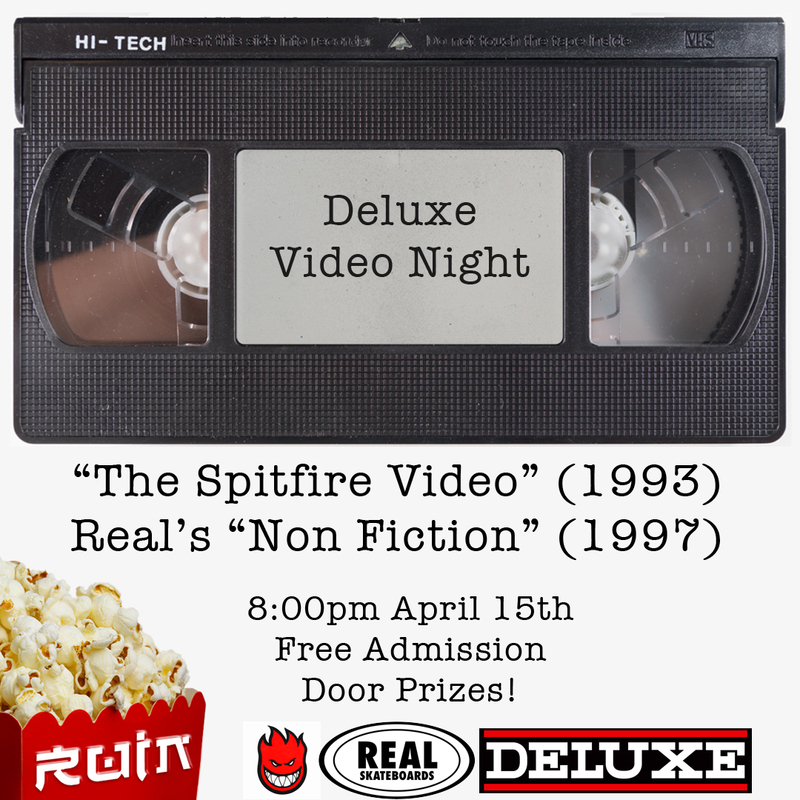 We’ve got “The Spitfire Video” (1993), and Real’s “Non Fiction” (1997) playing on the big screen. Come check out a couple of classics in, probably, the best quality you will ever get to see. As a bonus, and a thank you for participating in our video nights, Spitfire hooked us up with a bunch of promo material to give away! Hang out with us on Friday, April 15th, at 8:00 PM. We are proud to announce, Ruin will be premiering Polar’s new video “I like it here inside my mind, don’t wake me this time.” We wont have hard copies by the time the video premieres, but we will be taking pre-orders from now, through the premiere (in-shop only). Attendance is free, so come hang out, and see one of the most anticipated videos of 2016! 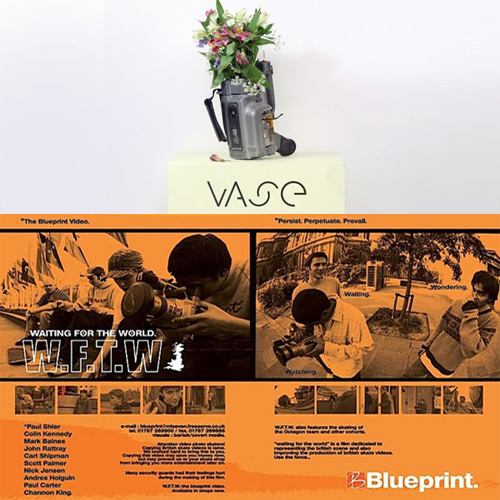 Friday, March 18th at 8:00pm, We’ll be playing Isle’s video “Vase” (2015) and Blueprint’s “Waiting for the World” (2000). This time the theme revolves around Nick Jensen and Paul Shier who are in both videos. These videos are great examples of British skateboarding and are not only depictions of great skateboarding, but are also really well put together. Videographer Dan Magee and the Blueprint guys really helped put British skateboarding on the map when W.F.T.W. came out in 2000. “The energy that everyone on and around Blueprint had during the filming of Waiting for the World was incomparable to anything else I’ve felt since. …it was a really proud moment for everyone and I think that video was a huge turning point for British skateboarding and British videos.” -Oliver Barton (2013). After some weirdness with some Canadian investors and Dan Magee’s departure from Blueprint, most of the team left and Jensen brought over Paul Shier to form Isle skateboards around 2013. For “Vase”, Isle chose videographer Jacob Harris to film the video. Harris had previously worked with Isle rider Tom Knox on the independent video, “11th Hour” which was one of the best videos to come out of Britain since Dan Magee’s Blueprint work. To read up on some more history of Blueprint and Isle, here is a collection of interviews from some of those involved. Be sure to check out the first link which gives a good history of Blueprint with lots of video links! We’re premiering Transworld’s new video Substance Friday, February 19th at 8:00. Come out and see the first VX video Transworld has done in years. We’ll have DVDs available as well. Keep physical media alive and adorn your shelf with a hard copy to impress your friends. 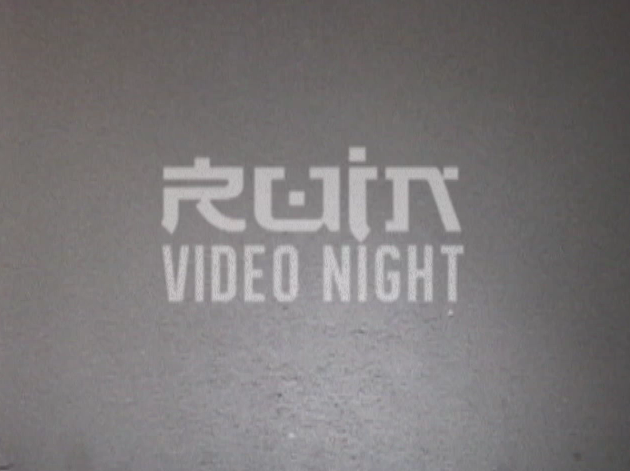 Ruin Video Nights are always free. All are welcome. Substance – TransWorld SKATEboarding from TheEnthusiastNetwork on Vimeo. 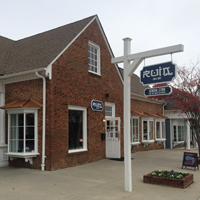 At 8:30 on Friday, February 5th, we will be hosting the second Ruin Video Night. This time we’ll be playing a couple of classics, Eastern Exposure 3 and Eastern Exposure 0. Admission is free, and we’ll sell soda and popcorn for a dollar. Help us make this a monthly thing and hang out with us. All are welcome! Another Trailer for “Threadcleaner”, premiering with Widdip’s new video “Gentlemen’s Club” This Saturday (8PM HERE). This trailer highlights the Widdip section in “Threadcleaner” which includes Ruin’s Victor Gonzalez, Shane Farber, Noah Chee-How, and Grayson Miller. Premiering this Saturday, (Jan 23rd at 8PM HERE) Matt Creasy along with the Threads Idea Vacuum, brings us the 3rd video in the Threads series, “Threadcleaner” This one also features Ruin’s own Andrew Edge, Jeremiah Babb, Chris Head, Noah Chee-How, Victor Gonzalez, Shane Farber, and Grayson Miller. It’s also a double-feature premiere with Widdip’s latest video “Gentlemen’s Club” (Trailer for that one in previous post). 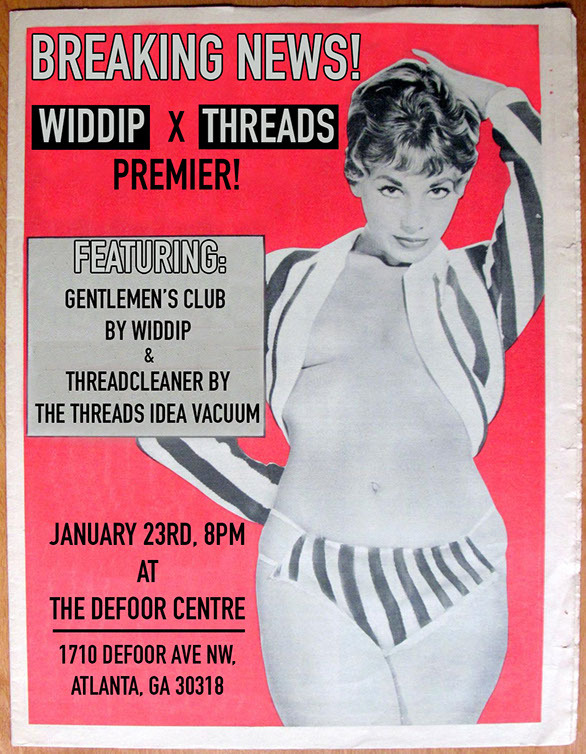 Widdip and Threads are putting on a premiere at the Defoor Centre on Saturday, January 23rd at 8PM. Big lineup of dudes between the two videos. Bring some dough and support some of the guys working very hard to keep real skate videos alive. The usual suspects in this one, Wes, Noah, Grayson, Shane, and Victor. Haven’t gotten a sneak peak at this one, but there’s sure to be some good stuff and plenty of New York footage as well as Atlanta. No trailer from Threadcleaner yet, but there should are some really heavy full parts, maybe a going-pro part as well? Magenta’s new video “Just Cruise” will be premiering at the shop Friday, December 11th at 8:30. Come enjoy some popcorn and some really fun street skating! Check out the trailer HERE.